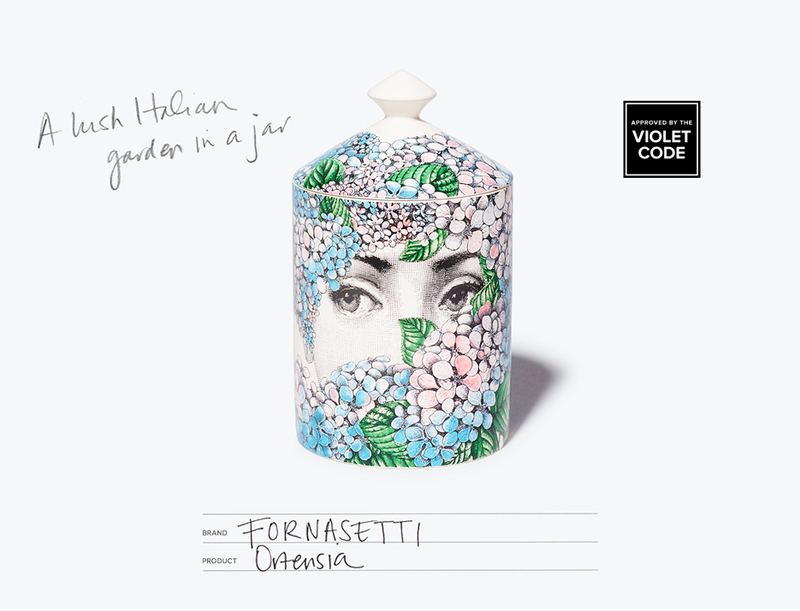 Presenting the floral-scented candle that evokes the Fornasetti garden in Milan. After his father, Piero Fornasetti—20th-century Italian painter, sculptor, and engraver—passed away in 1988, Barnaba Fornasetti was left with 13,000 pieces of archived artwork, which he reinterpreted into a lavish home collection, replete with his father’s iconic pixelated faces. Among the many designs, Barnaba also discovered Fornasetti Sr.’s sketches of bottles—each accompanied by a scent recipe—which inspired his own forays into home fragrance. One of Fornasetti’s most recognizable creations is the Ortensia Candle, which takes its name from the blue and pink ortensia flowers (also known as hortensia or hydrangea) that thrive in the gardens of the Fornasetti house in Milan. The bushes grow so tall and large that you can actually disappear behind or inside them. The bouquet has a musky floral scent, encased in a handcrafted ceramic vessel featuring a whimsical drawing of the enigmatic opera singer Lina Cavalieri (Piero’s muse) peeking out from behind a cluster of blooms.